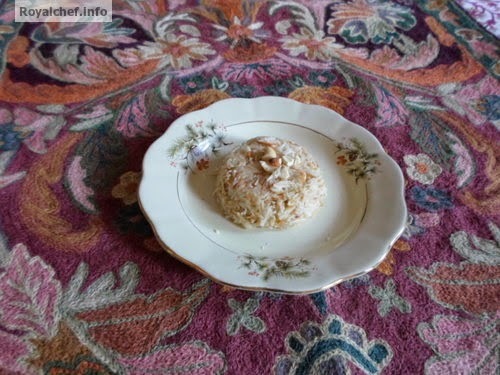 This is a Recipe for preparing at home sweet and delicious Sevai Halwa. This Halwa dish is specially for children’s tiffin box or for their break fast as it is very popular with Kids. The Sevai Ka Halwa can be prepared quickly and is a ideal breakfast or snack preparation for the busy homemaker. Heat the one table spoon Ghee in the Kadhai. Add Sevai, fry for two minutes on a slow flame, and then keep the Sevai in the plate. Heat the Milk in the Kadhai and then add Sevai, cook for 2-3 minutes and then add Sugar, Cardamom powder and Ghee. Mix it well. 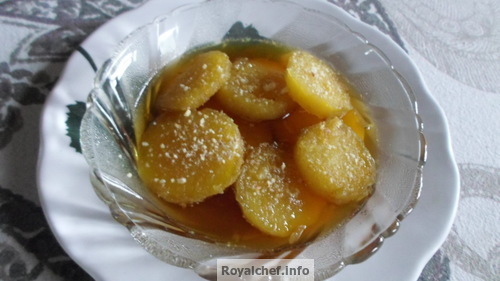 While serving garnish with Dry fruits.